Russian physiologist known primarly for his work in classical conditioning; Nobel Prize in 1904 (1839-1936). 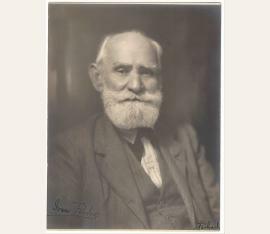 Photograph signed „Ivan Pavlov". no place, no date. 9¼ x 7 inch. Pavlov signed at lower right. Bachrach, the photographer, signed at lower right. A wonderful, waist-up portrait. - His most famous experiment involved ringing a bell each time before he gave a dog food. The dog would begin to salivate to salivate in response to the bell. 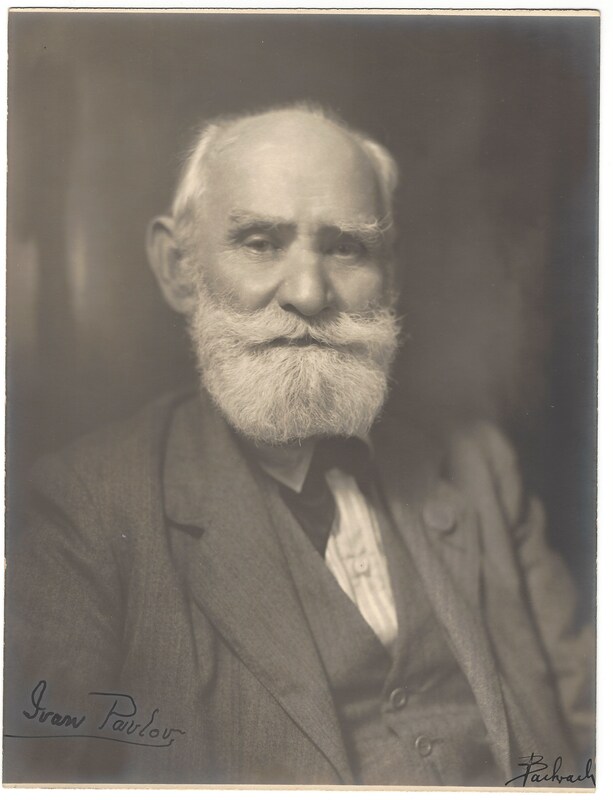 Pavlov called the bell a conditioned stimulus because of its association with food. He won the Nobel Prize for Physiology or Medicine in 1904.